On October 19 & 20, the annual Green Festival was held in Los Angeles. The event took place at the LA Mart, which was a new location for it. While it was in a new place, the festival continued its traditional of covering all areas of sustainability from energy to recycling to eco fashion to agriculture. I visited all areas of the Festival, but paid special attention to the booths related with agriculture and cooking as that’s my focus. Here are the best of the booths at the Green Festival related to real food. 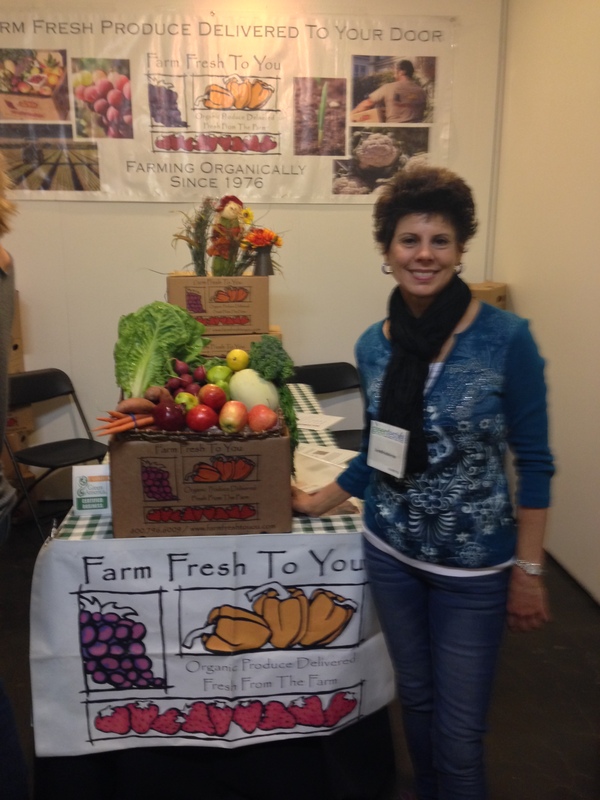 Farm Fresh to You is one of the most successful Community Supports Agricultures (CSAs). CSAs are great programs which are able to create closer relationships with the consumers and the farms that are growing their foods. CSAs involve signing up to receive a box of fresh, local, and organic produce directly from the farm and delivered right to your door. By paying the CSA upfront, you’re making a commitment to the farmer for the upcoming growing season. The food that’s delivered varies week from week, depending what’s in season. It’s great way to truly learn what foods are in season when and how to eat more sustainably. Farm Fresh to Fresh to You delivers all over northern and southern California. 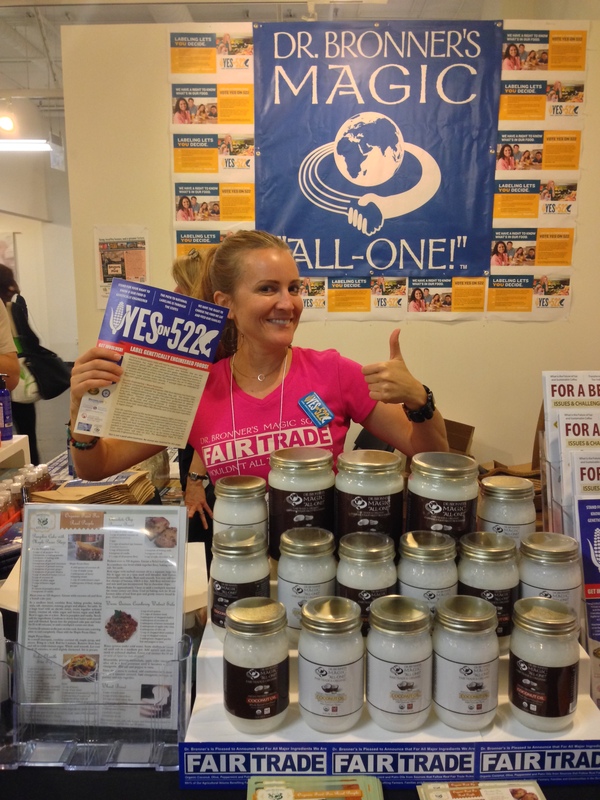 Dr. Bronner’s is an excellent natural products company. Pictured above are their fair trade coconut oils. They also make a variety of natural soaps and personal care products. Many of these so-called “natural” hygiene companies still put some chemicals and artificial ingredient into the items they sell. Dr Bronner’s is one of the few that walks the talk and doesn’t add anything unnecessary into their products. Dr. Bronner’s was also a major donor to California’s Proposition 37 and Washington states’ I-522 Both were ballot initiatives for mandatory GMO labeling that unfortunately didn’t pass. But with companies like Dr. Bronner’s, the fight against GMOs will continue in getting more people informed about what GMOs are and why we she avoid them. Sequoia Cheney founded Wonderfully Raw, which makes raw macaroons, or coco-roons as she calls them. Coco-roons are one of only a handful of desserts which you can find supermarkets that don’t contain any sugar, even cane sugar. Coco-roons use only maple syrup as a sweetener. 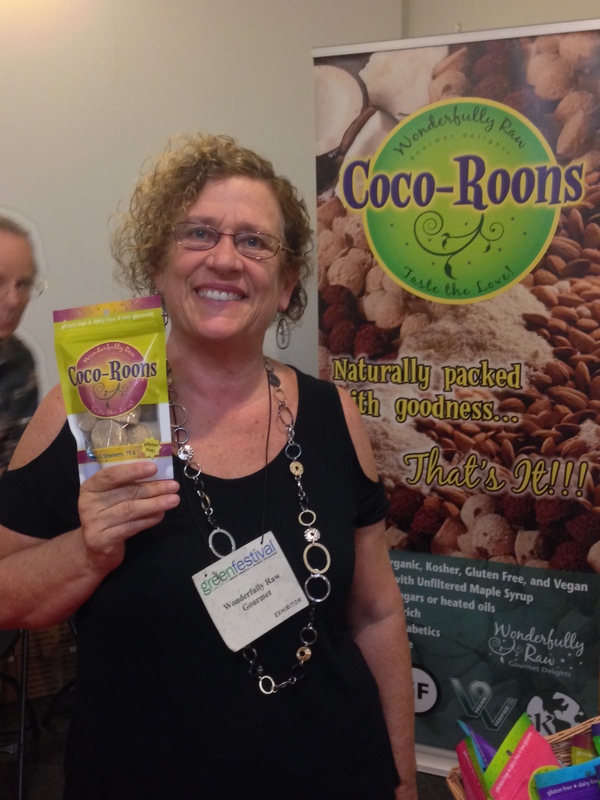 In addition to being raw, the coco-roons are also organic, gluten free, certified kosher, and vegan. It’s hard to think of any other dessert that fits into that many catergories. Wonderfully Raw also sells chips and snack mixes made from living foods. And all of their foods were available to taste at the Green Festival. Avocado oil is a mono-unsaturated fat that’s great for making things like salad dressings and sauces, as well as for cooking at low temperatures. It has properties similar to olive oil. 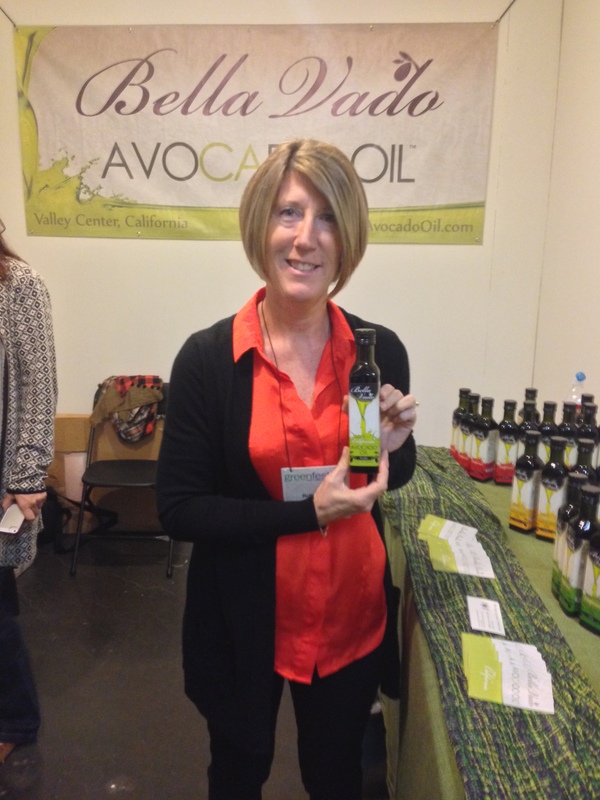 Pictured above is Corrine da Silva, founder of the Bella Vado Splendid Oils as she holds up a bottle of her avocado oil. Urban gardens are one of the most inspiring things to me. What’s more positive than taking areas that are run down and turning them into places promoting sustainability and health, plus awareness of where our food comes from? Los Angeles has one of the most successful urban gardens, which has been covered by several documentaries. 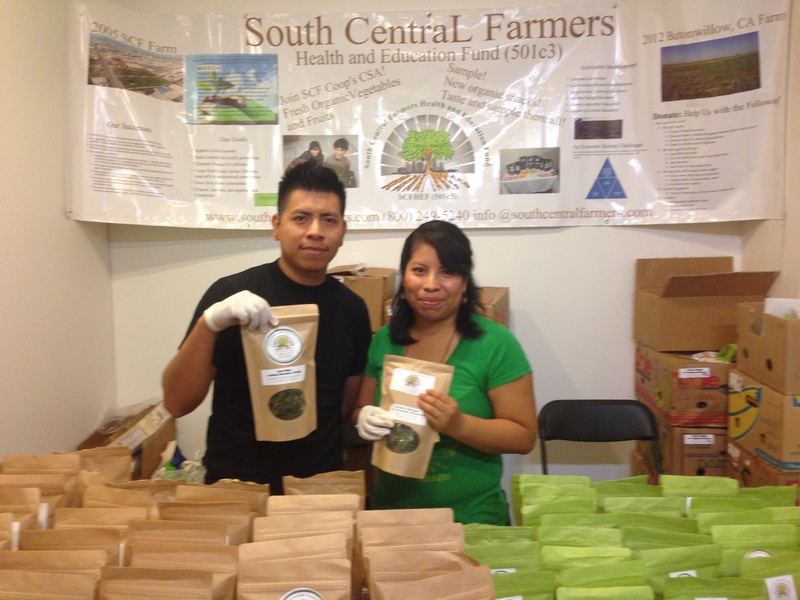 The South Central Farmers Cooperative has farm fresh produce that’s sold at farmers markets and supermarkets, a CSA, a health and education fund, and a number of healthy snack products, such as the various flavors of kale chips that were available for tasting at their booth. The term superfood is very overused these days. So many foods that are described superfoods, I don’t think are such. But tumeric is one that actually lives up its label as a superfood. Its benefits include fighting against cancer, being anti-inflammatory, protecting brain cells, and maintaing a healthy liver. 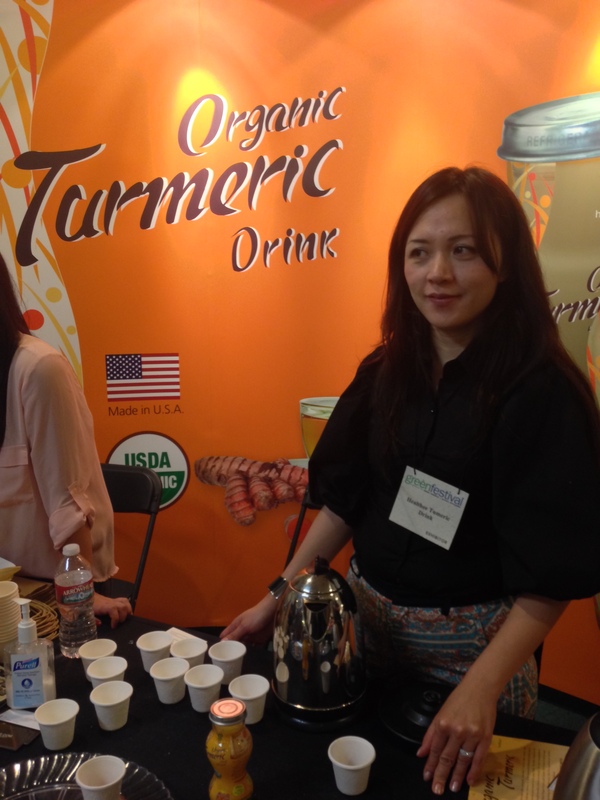 Healthee USA had a booth to taste their organic tumeric drink. They have an original tumeric flavor and a tumeric with cinnamon. Both are a tasty way to incorporate tumeric into your diet. We focus almost all of our attention on organics with food, but organic clothing is just as important. Along with foods such as corn and soy, cotton is also genetically modified. If you buy clothes made from non-organic cotton, there’s a good chance it’s GMO, meaning you’re supporting Monsanto. 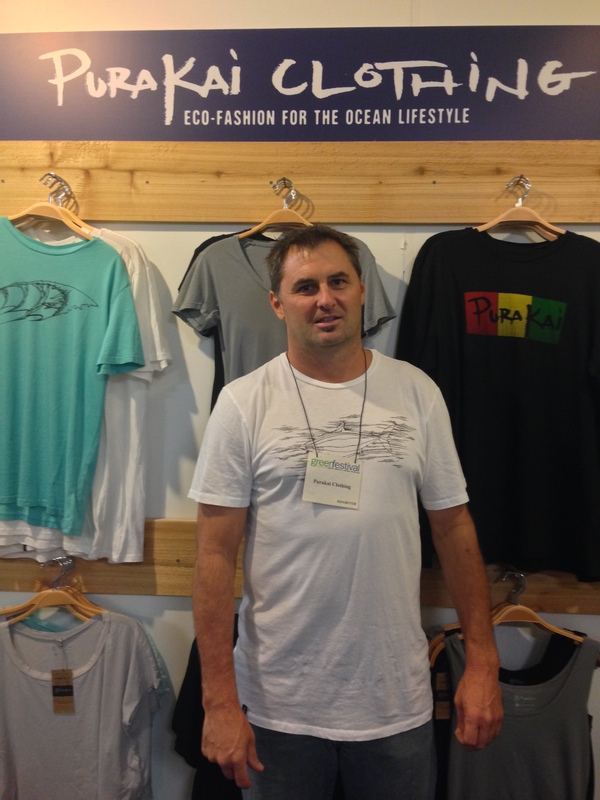 Pictured above is the booth for PuraKai Clothing, which makes its products from organic cotton and hemp and recycles plastic bottles for when it uses polyester. Purakai also donates portions of its proceeds to help the oceans and the ocean life.